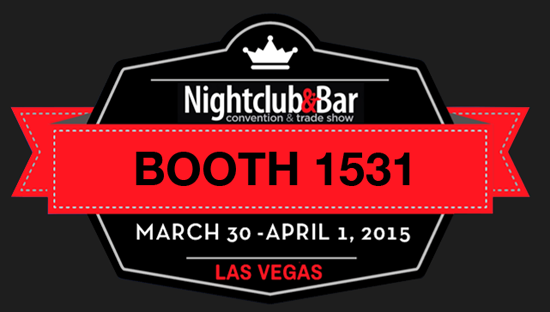 February 10th seems like an eternity ago, but (41) days after launching our live Twitter and Instagram overlay for DJs, Venues, and Entertainment Pros, #TeamFlyboost is excited to announce that we’ll be exhibiting at the Nightclub & Bar Show in Las Vegas, NV – March 30th through April 1st of 2015 in the New Products Pavilion. This marks our first conference, and it’s guaranteed to be a great one! It is finally time to get the word out and show the incredibly powerful capabilities of Flyboost to the 37,000+ that will be in attendance and the rest of the world which will be following the press coverage. For those of you who are unfamiliar with the Nightclub & Bar Show, it is the largest and highest attended conference for anyone in the nightclub, bar, and entertainment industry, headed by Jon Taffer, successful bar consultant and host of the popular reality TV series Bar Rescue. We’ll be exhibiting in the New Product Pavilion, Booth #1531, where we will be running live demos of Flyboost throughout the course of the conference. We will have live feeds on multiple computers, displays, and we’ll be using multiple hashtags so that anyone can come and try Flyboost and see their posts up on the big screen! The Nightclub & Bar Show is in its 30th year. Every year, their objective is to share all of the research they’ve performed on the constantly changing climate of the industry with those in attendance, giving everyone a much needed leg up on the competition. Looking at the conference’s exhibitor testimonials from last year, you can see how important this conference has been to nightlife businesses in the past. One of the most common themes from the professionals scheduled to speak at this conference, is the integration of social media and an online presence for nightclubs and bars. The more social media grows and expands, the harder it is for those in the industry to keep up with online promotions, especially if you are running a busy establishment. 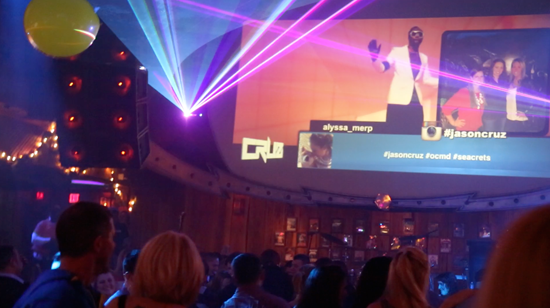 Flyboost is here to address this disconnect the nightlife industry is faced with, and to help venues bridge the gap between social media and the real life experiences of their customers. Flyboost provides establishments with the ability to showcase their customer’s Tweets and Instagram posts on their screens, giving all patrons their fifteen minutes of fame. Who wouldn’t want their social media selfie to transcend the digital space and into the actual room it was taken? Not to mention all the free advertising you get from the authentic social media promotion patrons willingly provide while they’re having fun! Many already know, Flyboost is a game changer. We know that many attending the conference are looking for the best ways to enhance their business, better reach their customers, and in turn increase their profit by connecting with them long after “last call.” Using social media effectively can achieve those positive results. As Jon Taffer mentioned in the video above, you’re “one idea away” from your next surge in profit. Don’t miss Flyboost at #NCBShow15, because you could miss out on your next big idea. For those attending, please feel free to come visit our booth and try Flyboost for yourself. We are extremely excited to be exhibiting at this conference, and we look forward to meeting everyone attending as well. Cheers!